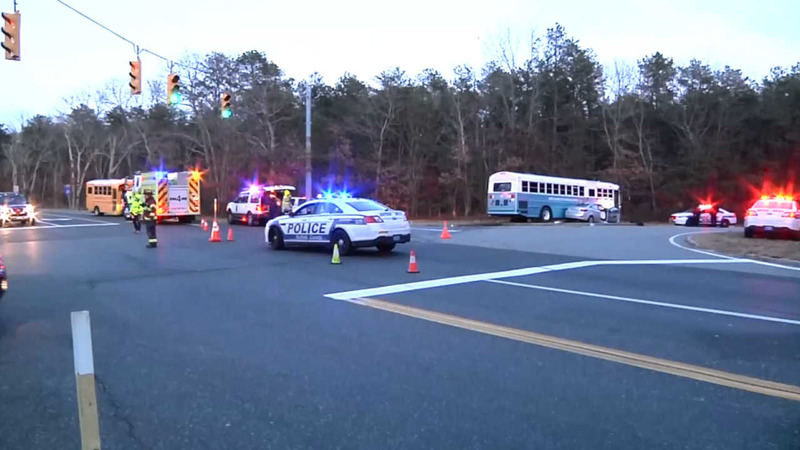 MIDDLE ISLAND, Long Island (WABC) -- Two teenagers are dead after a car crashed into a bus carrying disabled passengers in Middle Island. Police say the car hit the bus after running a red light at Whisky Road and County Road 21 on Friday afternoon. The car's driver, 16-year-old Giovanni Rivette, and one of his passengers, 19-year-old Reynaldo Pena, both of Coram, died. Several of the 18 bus passengers went to the hospital, but none suffered serious injuries.